When negative beliefs and assumptions start to consume you, then you will undoubtedly be unhappy in your life. However, if you have a positive mindset, then you’ll live a happier life. Ultimately, our perception is our reality, so actively changing the way you look at life can make all the difference. A negative mindset will cloud your judgment, making it difficult to tell when negative thoughts are outside ourselves or a part of our inner psyche. If you find that negative thoughts and emotions constantly surround you, it may be time to change your mindset. Here are four signs that it's time. Do you tend to fixate on your worries and disappointments rather than focusing on the things that are going right in your life? This is a sure sign that your current mindset is contaminated by negativity. While there may be a lot of bad things happening at the moment, chances are that there are at least some aspects of your life that are going well. To shift your thinking from one of negativity to that of positivity, take some time to be thankful for the good things in your life, no matter how small. When you don't take the time to celebrate the moment when something goes your way, it's because you don't believe it's your victory. You think that it is concealing the seeds of failure. When you do this, you are sending yourself a negative message that you will always fail and that you can't celebrate your victories because they are nothing more than future failures in disguise. Continually complaining about reality isn't going to change a thing. When you complain about everything, it is nothing more than a refusal to acknowledge and accept the truth that there are just things that you cannot change. Not everything in your life is something that you can control. Refusing to see the world for what it is, is a huge mistake because it means that you can no longer tell fact from fiction. Sign #4 – You Get Angry When Your Expectations Aren’t Met. If you always find that your expectations aren't being met, it means that your expectations were unrealistic, to begin with. Our expectations are a large part of our mindset and are what we believe to be possible or necessary. 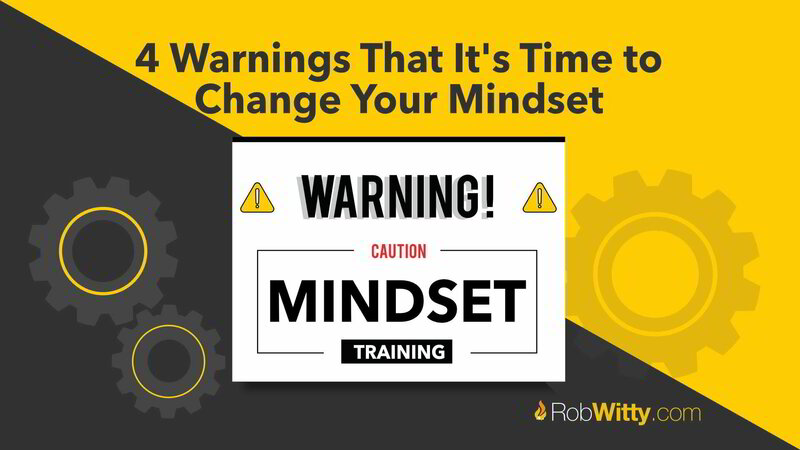 Changing your mindset isn’t easy, but it is one of the most powerful things you can do for yourself on your journey to success. Learning how to recognize a negative mindset is the first step to changing it.